I made these amazing Burberry inspired men’s socks for my guy, after finding inspiration in gorgeous ones by Tanis Lavallee, one of my favorite knitters, designers, and yarn dyers. Everything she does is incredible. The yarn is by Turtle Purl. What an artist! It’s amazingly soft and just gorgeous to work with; a dream, really. You can read my project notes here. I’ve pretty much perfected the sizing for his feet and stick to the same formula no matter the sock design. Of course, an after thought heel on these ones, so as not to disturb that brilliant striping. 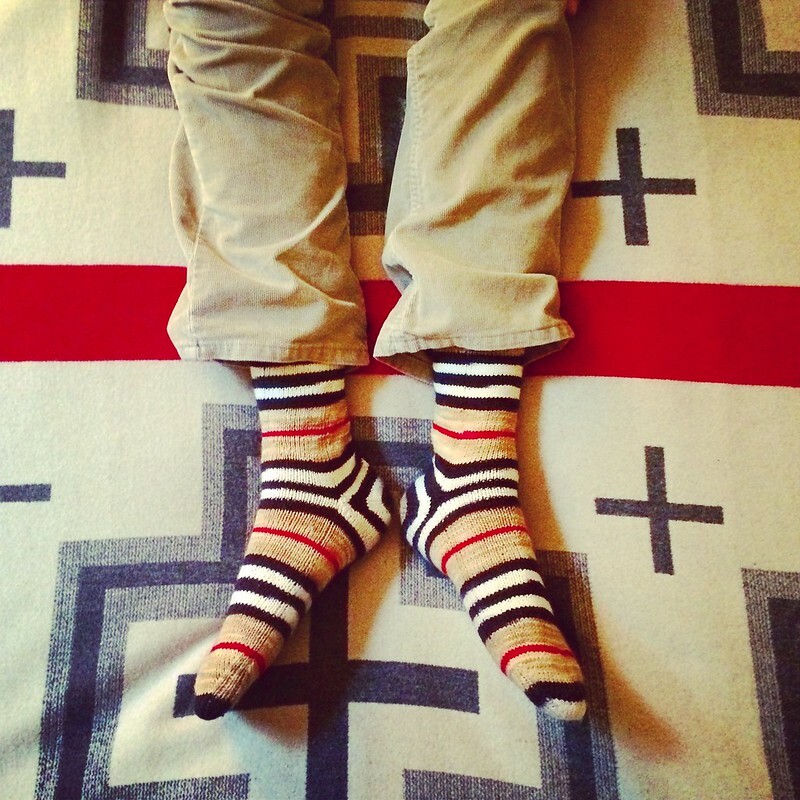 See more snaps of these Burberry inspired socks here. Next prosciutto / peas / shaved parm.